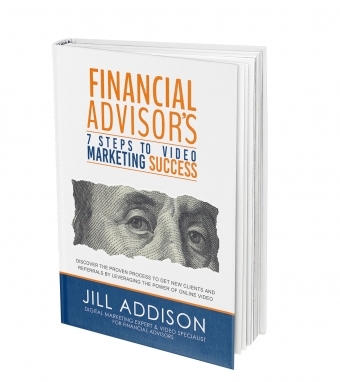 You are entitled to a free copy of Jill Addison’s book, Financial Advisor’s 7 Steps to Video Marketing Success. Having trouble getting all 7 Steps to Video Marketing Success done each month? As an easy Add On, we’ll do all 7 Steps to Video Marketing Success for you each month. for our preferred clients like you. *Special Offer Good Today Only: We will waive your Set Up fee of $400 when you sign up today! Offer good today only.